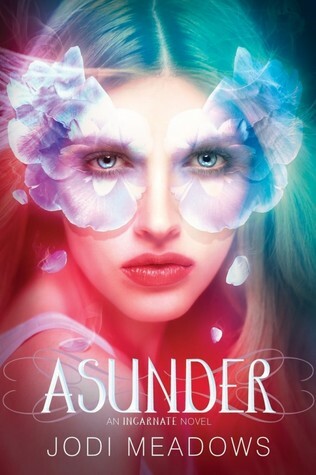 After being stunned by Incarnate, by author Jodi Meadows, I couldn't wait for Asunder. Luckily, I didn't have to -- I got Incarnate for Christmas this past year and only had to wait a month for Asunder (it was a long month, though). I hoped that I would continued to be amazed by its originality. Asunder left me just as satisfied, yet desperate for the conclusion. In this installment we see extreme growth from main character Ana, the first newsoul, who becomes stronger, less timid, and in general, sets a goal to discover more about herself and the way in which she came to being. This research is more critical after the most recent Templedark when more souls were lost. She is also grappling with the concept of love. Because she has been told her entire life that nosouls can't love, her relationship with Sam encounters more than a few rough patches. He is able to bear his soul to her and she, believing she has none and cannot love, struggles to figure out what she can offer him in return -- if she can offer him anything in return. Overall, I was incredibly impressed by Asunder. 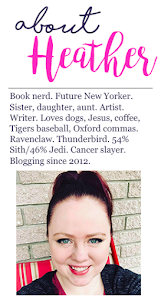 Some of my favorite and most breathtaking "first" books in a series are followed up by "second" books that are weak everywhere and with a plot that doesn't really drive you home, but drags you there, slowly and painfully, destroying everything you loved in the first place. Asunder is exactly what a "second" book should be -- it's not just a follow-up, it's a book that is strong in its own right and builds on what the "first" book had to offer. The third and final book in the Newsoul Trilogy, Incarnate, will be released on January 28, 2014.